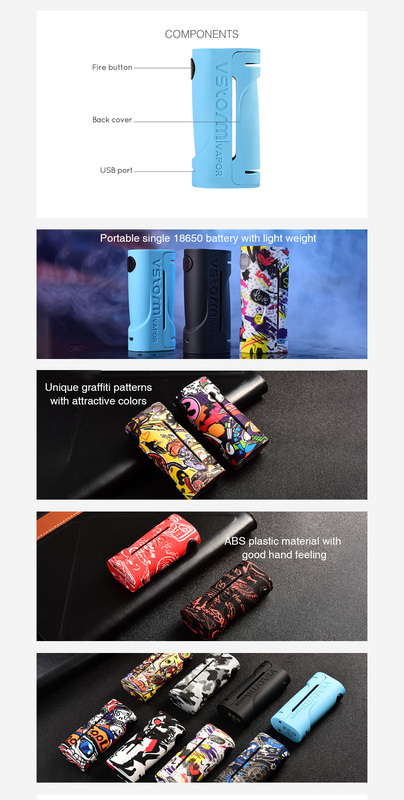 The Vapor Storm ECO is a newly designed powerful and portable MOD with attractive graffiti series body and great hand feeling. 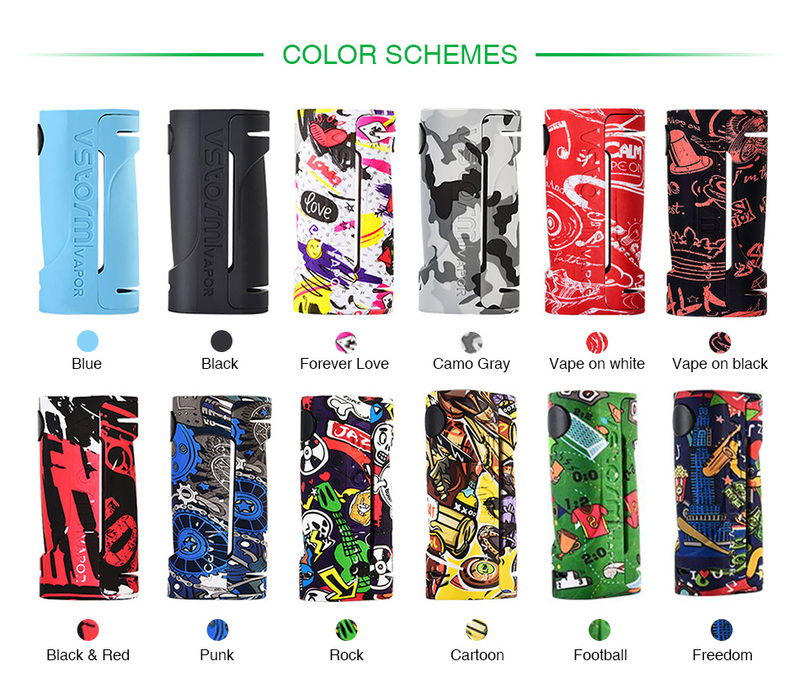 Made of high quality ABS plastic material, the ECO MOD is quite lightweight. With single 18650 battery(sold separately), the Vapor Storm MOD fires up to 90W with 10s continuous vape time. It is definitely an excellent vape device for vapers. Best match with the Vapor Storm Tank! 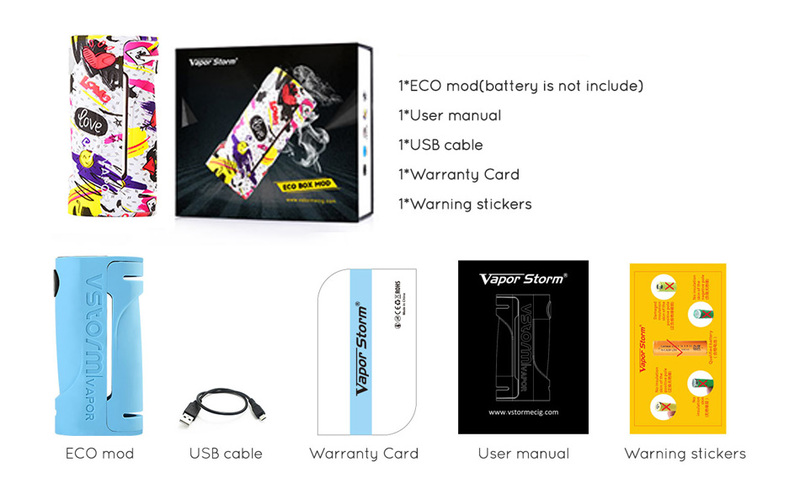 You can select Vapor Storm ECO Kit in HG. 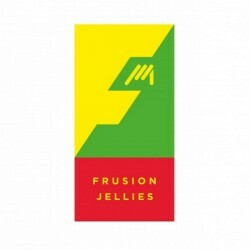 3 months for Vapor Storm ECO MOD. Please check guarantee policy.